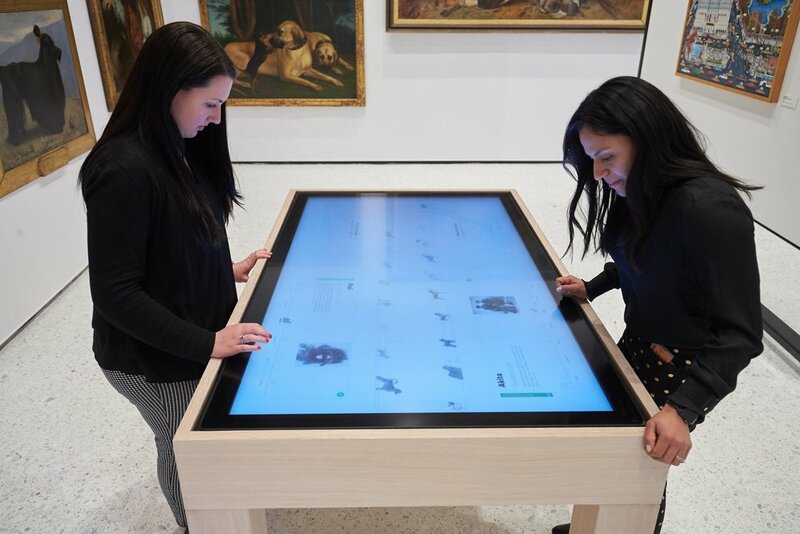 As both a dog lover and museum fanatic, this was my ultimate dream project as an intern with Gensler’s New York office. Gensler was tasked with creating a new home for the American Kennel Club’s collection of dog art at 101 Park Place. Through exhibition and digital design, we created a space that was interactive and educational for all visitors. All photos courtesy of AKC Museum of the Dog on Facebook. As the brand design intern, I worked mainly on the production end of the design process. I took on the creation and organization of assets for each of the individual dog breeds: including silhouetted illustrations, silhouetted portraits, and detailed icons of the breed standard. I documented several designs for signage vendors to work from and helped to design templates for multiple wall graphics. I also assisted on video shoots for a projection that would be visible on the museum’s facade and with user testing and collecting feedback on the MoD app.